There’s often a reason why certain big-budget or Oscar-contending films fly under the radar, why they’re in theatres before you know it, why you don’t hear much buzz around them, why they’re forgotten in a month. Take Serena for example, a movie that should have been on everyone’s tongue. Jennifer Lawrence, Bradley Cooper, the power couple, and yet no one but critics heard of their movie, let alone saw it. To this day I have yet to mention Serena to an average audience member and have the title recognized. How did that happen, with a film that seems tailor-made to drive in millions? Well, someone must have realized that it sucked. It became apparent somewhere along the line that it was going to be a complete flop, so all publicity was grounded. Truth didn’t receive the exact same treatment, nor is it as terrible as Serena. But with names like Blanchett & Redford, and with early Oscar buzz, you’d think the studio would be pumping this movie for all its worth. The simple fact that they aren’t, and that 90% of people haven’t even heard its name, should tell you something. This is the true story of the end of Dan Rather’s career, of George Bush’s National Guard service secrets, of a scandal that rocked a major television network, and the woman who was at the heart of it all. Mary Mapes was a top producer at CBS, working alongside Rather to create high-quality reporting and ground-breaking exposès. Together with a hand-picked team, Mary broke the American torture stories that would change the way our nation treated prisoners. And, right before the 2004 Bush/Kerry election, Mary attempted to change the world again. She led an investigation into the draft-dodging conspiracy of our President during the Vietnam war, including his complete failure to actually participate as a Guard. But questions surrounding the authenticity of reports would make what seemed to be the best piece of reporting of the decade into something of a sideshow, ruining the careers of so many, burying secrets back beneath years of paperwork. So, why have only one thousand people rated this film on IMDb? To put that number into perspective, twenty-three thousand have rated Spectre, and it isn’t even out yet. With early Oscar attention and two amazing actors, this film should be advertised on every channel, should be a must-see, should be amazing us with an unbelievable story. So why isn’t it? Well, many reasons of course, but mostly because it isn’t that good. And not only that, but it’s obviously not that good, a film that will most likely strike the majority the exact same way. It’s not a film that will have a grand following and, conversely, a bunch of haters. Rather, it’s one that’s not well-made, resulting in a bad product more than a disagreeable story. Democrat, Republican, Bush-lover or -despiser; for a plot that revolves around politics, it’s shocking how many will unanimously say “meh”. Problems first, and they are many. The pace is terribly slow, feeling like a 3-hour movie rather than a 2. 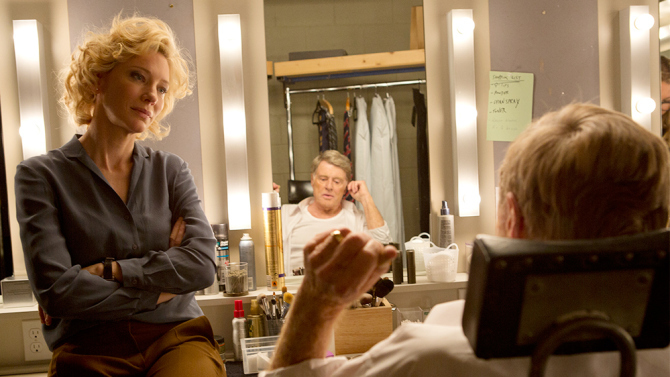 Mary Mapes is an awfully unlikeable main character, or at least that’s the way she was shown, and she comes off as simply a bad person rather than a flawed hero. The cast of side characters was peopled by terrible actors, mainly Elisabeth Moss & Topher Grace, in roles that should embarrass them. And the plot itself, the searching for THs in old documents, the hounding of sources, the anger at CBS; so what? The crew spent a long time trying to convince us that this true story was important, only to bore us with the problems of other people’s lives. That might sound cynical, but it’s the job of the filmmaker to get me on board, it’s not my job to be invested from the start. 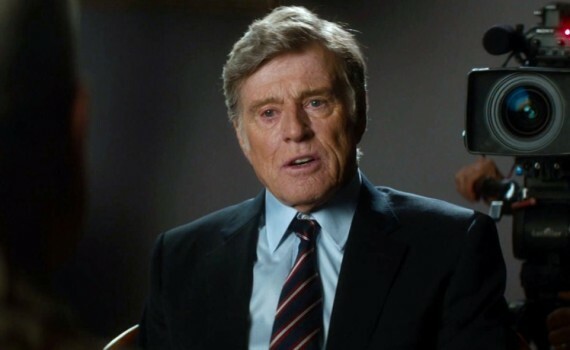 If it weren’t for some good acting from Blanchett & Redford, Truth would have been even more of a disaster than it already was. They saved it from falling flat on its face, but they couldn’t keep it from obviously failure.